How Can I Make a Self-Watering Probe? 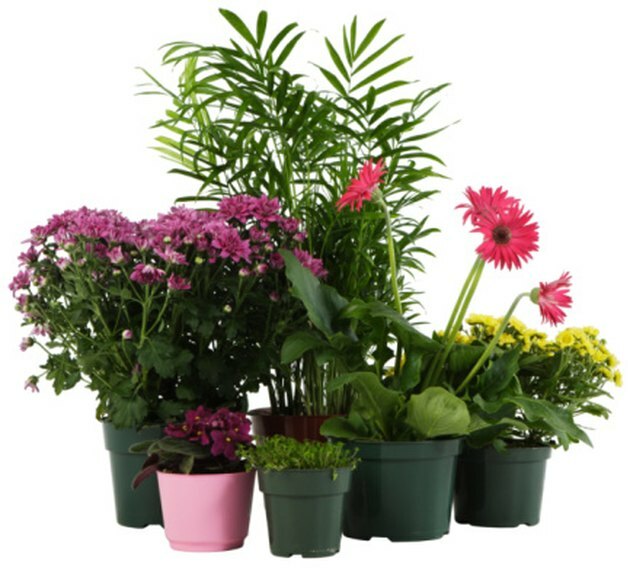 People spend endless amounts of time nurturing plants and can be afraid to leave them unattended while on vacation. Vacationers leave in hopes of not returning to what looks like planted twigs in a pot sprinkled with brown leaves and having to quietly curse under their breath while scraping the remains of their beloved plant into the compost pile. To avoid this, it is possible to create a self-watering system at home. It is possible to keep your plants hydrated while on vacation. Empty the bottle of water and lay it on its side on a flat surface. Poke a hole into the bottle with your scissors about 2 inches away from the bottom. Carefully cut all the way around the bottle to remove the bottom completely. Cut a piece of gauze into a 2-by-2-inch square and place it over the hole at the top of the bottle. Secure the gauze in place with the rubber band. Locate a place on the side of your plant where you would like the bottle to be located. It should be near an edge so the bottle can rest on the side. Push the bottle into the soil of your plant at least 3 inches or until it feels secure. Fill the open end of the bottle with water. How to Use Miracle-Gro Food in a Hydroponic Solution?